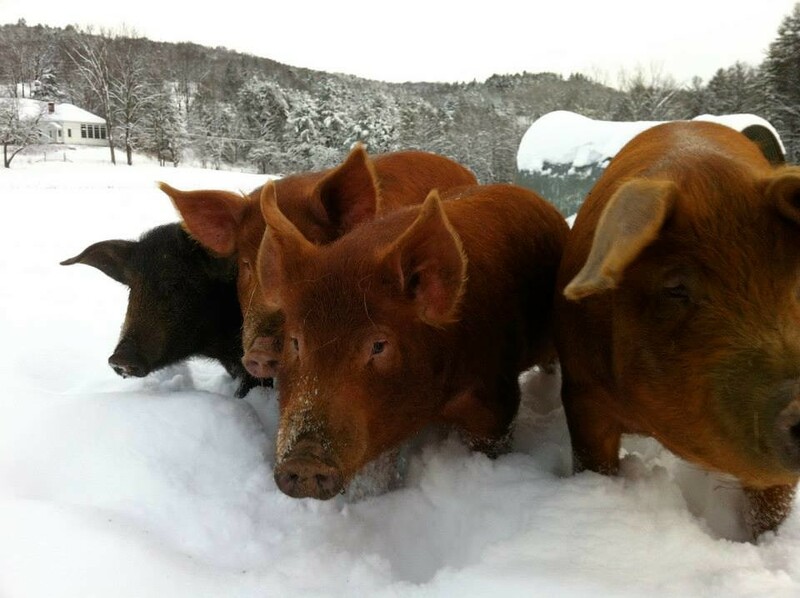 Hogwash Farm is one of those family-run producers we immediately associate with Vermont. 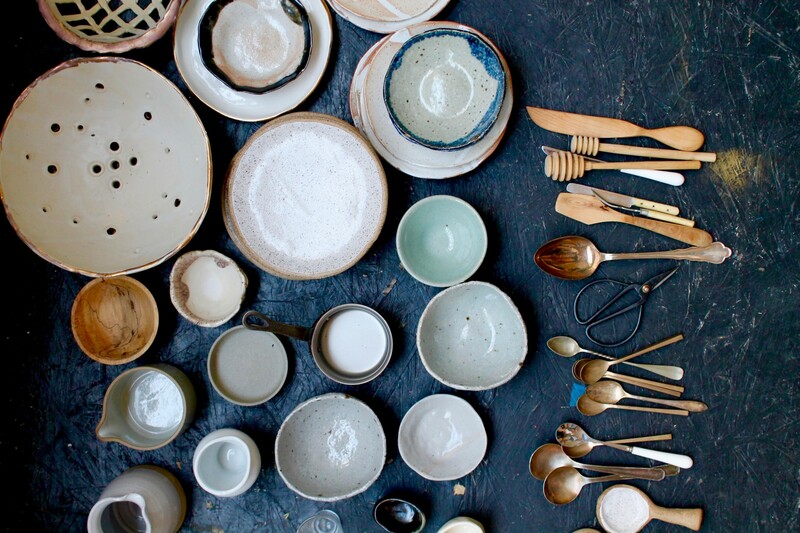 If you’ve ever visited their quaint farm stand in Norwich VT, you’ll get the idea. Locally raised poultry, beef, pork, and lamb cuts are freshly packaged and neatly stacked in the stand’s fridges. You can leave with the meat of your choice, along with a dozen farm fresh eggs, by logging your purchase and paying on the honor system. And – this stand is open 365 days of the year. 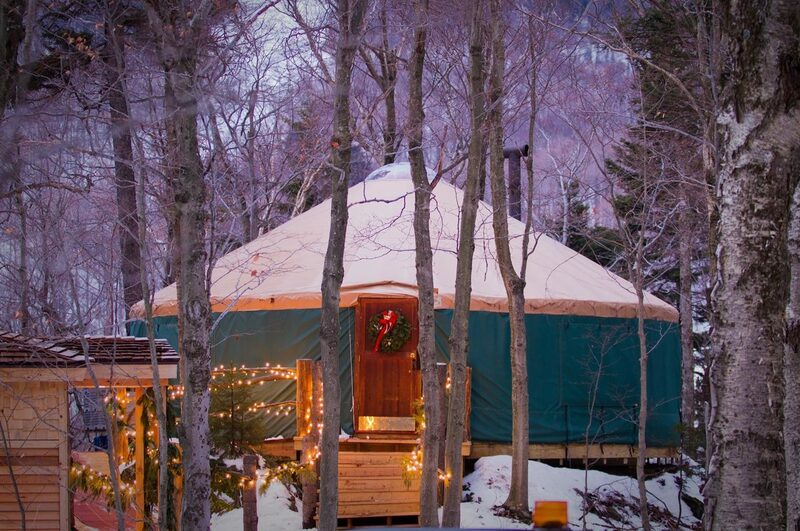 Can you think of anything as quintessential Vermont as this? Originally from New Jersey, Nancy LaRowe started Hogwash Farm about 11 years ago in 2006. She had no farming background prior to moving to Vermont. In fact, Nancy was in the food service industry and practiced vegetarianism! “I realized animals can have a great life, and I’m pretty good with animals myself,” Nancy says. She now manages 250 acres of land (hay, pastures, and all) in Norwich. 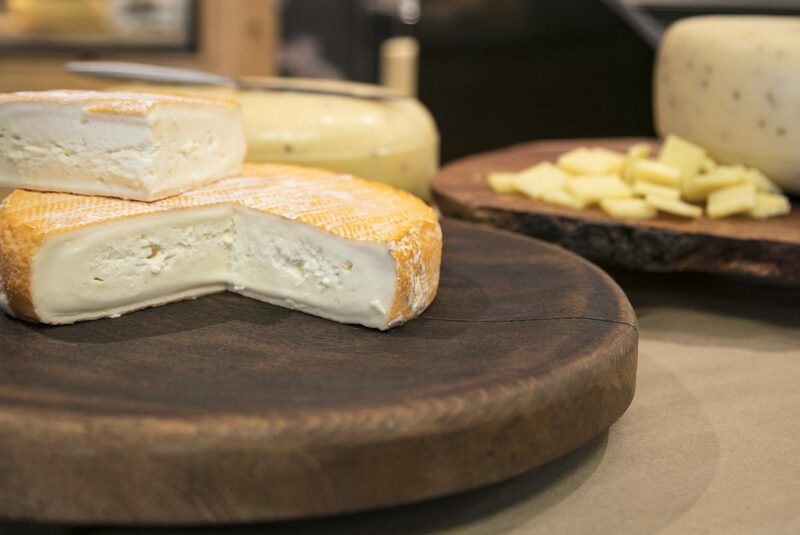 Nancy found herself in Vermont because she loved the culture and farming. 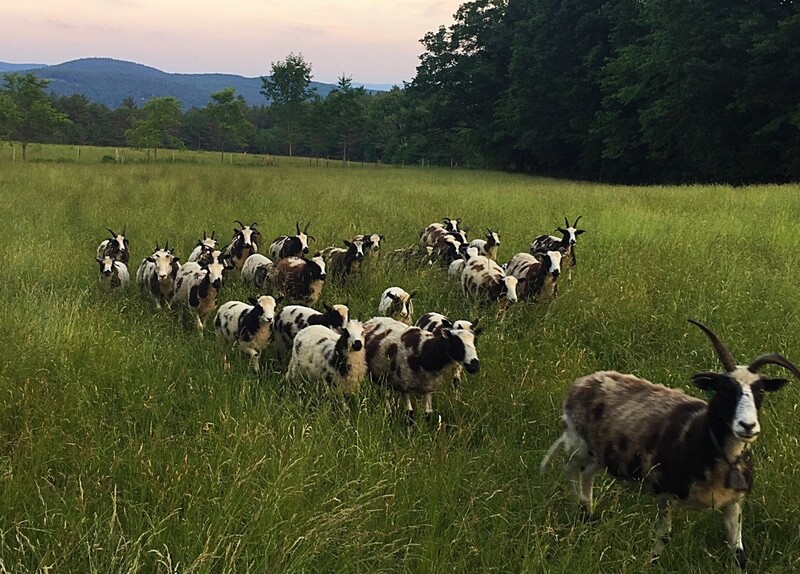 Aside from her liking to nature and hiking, the Green Mountain State offered Nancy the opportunity to join a community innately supportive of its local agriculture. “I got really lucky in Vermont in that I started a business that parallels the movement of people caring about where their food is coming from,” says Nancy. Nancy loves animals and the very simple, heartfelt relationship she has with them. 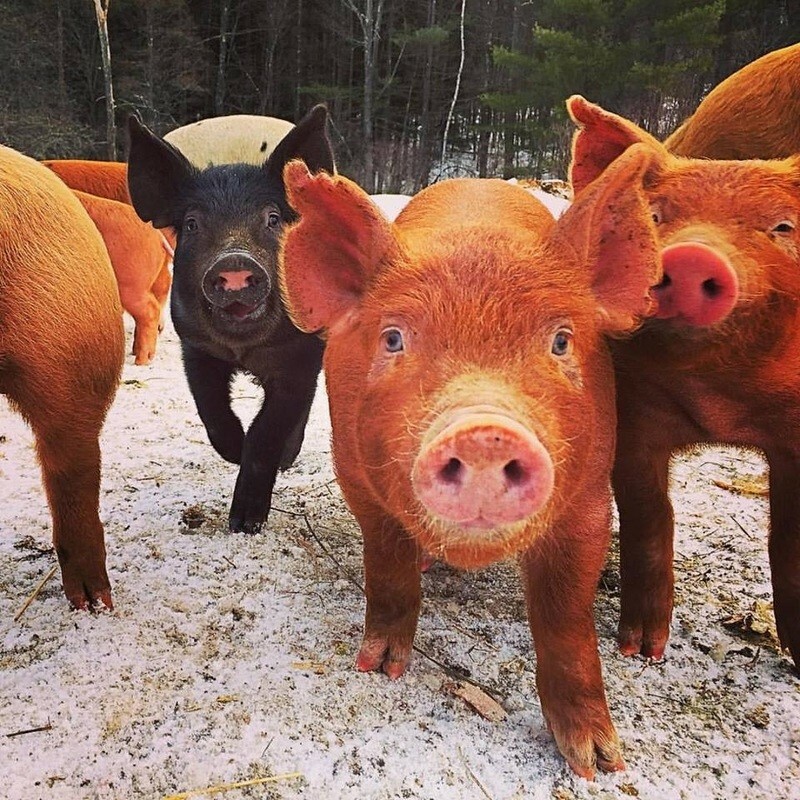 “I could spend hours in the fields with the pigs,” she says. “Animals are always appreciative.” And this is why Nancy takes such great care in raising her farm animals. 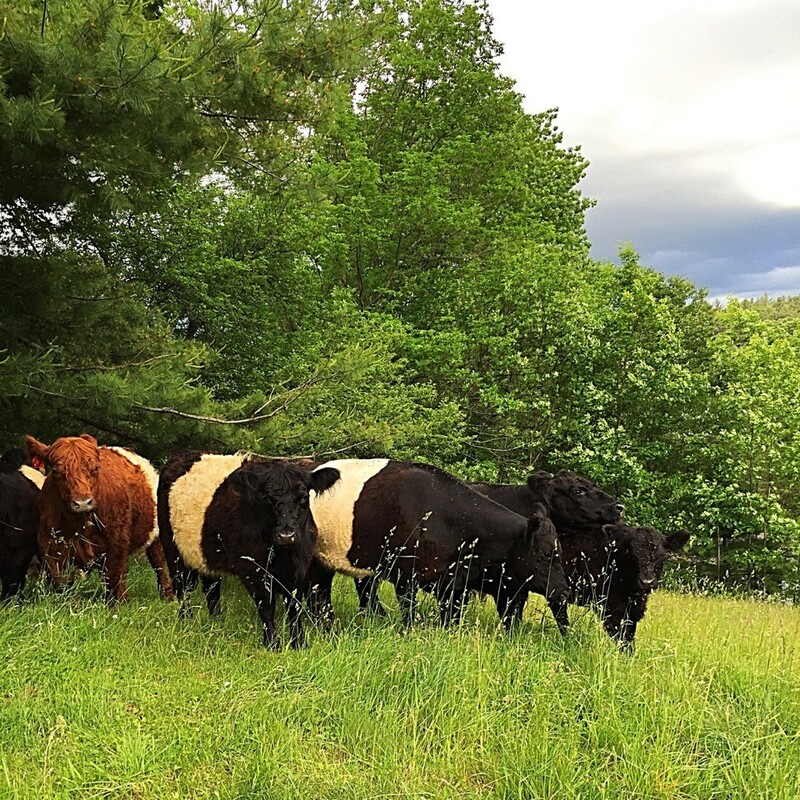 “Grass-fed makes a tremendous difference,” Nancy notes, for example. This is the way these animals were meant to be raised. Moreover, this practice is most beneficial to the overall environment! “It makes the soil and animals happier.” When it comes time to slaughter, Nancy inevitably feels sad. However, she goes through the process gently, ensuring the animals experience no stress. To put this final step in perspective, Nancy tends to live by one motto: appreciate the past, respect the now, and look forward to the future. Most importantly, Nancy believes that how she raises her animals results in superior health and flavor. “It’s not about the volume. It’s about rebalancing your plate with meat and chicken.” Instead of a heaping portion of grain-fed meat, this product is better for you. Pasture-raised meat and eggs are beneficial to your health. They offer you more “good” fats and fewer “bad” fats than commercial products. Plus, Hogwash Farm’s meat and eggs contain no traces of added hormones, antibiotics, or other drugs. Grass-fed animals result in meat with two to four times more Omega-3 fatty acids than meat from grain-fed animals. 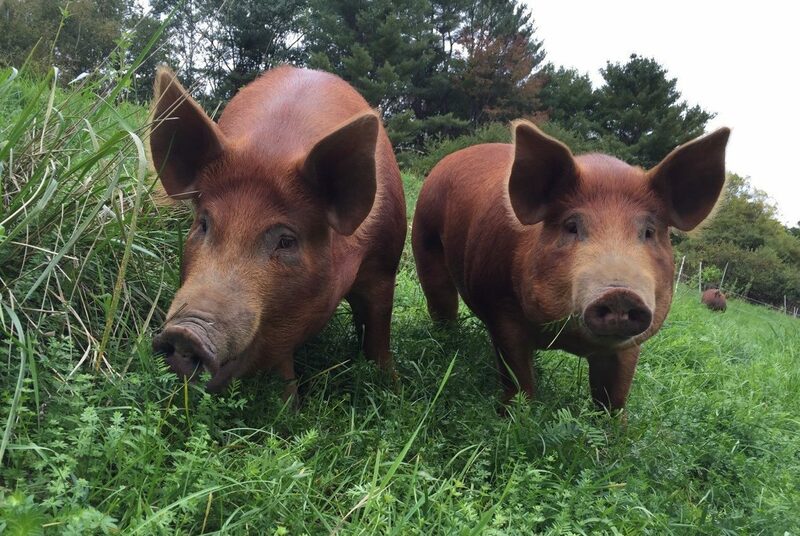 Hogwash Farm is well known for their meat CSA. In fact, they were the first in the region to offer the particular kind of CSA! The program has been running consistently for seven years now. 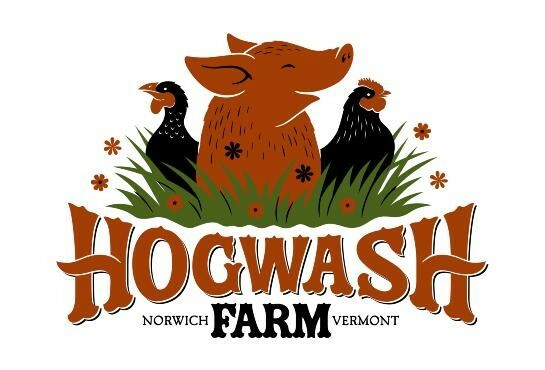 You can also find Hogwash at the Norwich Farmers’ Market! Hogwash Farm obviously takes great prides in the way they raise their animals. Their efforts to maintain a healthy, happy environment for both the animals and land are certainly not lost on us. Try it for yourself! Hogwash Farm will not disappoint.